Research has shown that topic clusters match Google's shift in search results much better than individual pages and keywords do in 2018. In a nutshell, a Topic Cluster is a centralized page, sometimes called a pillar page, about a short-tail keyword topic that is supported by links to and from multiple sub-topic pages. These sub-topic pages give relative weight to the main topic page they support and provide an SEO boost to that main topic. Even better, what's great for SEO is also great for humans. A centralized resource on a subject makes it easy for people to dive deeper into sub-topics and then come back to explore other supporting concepts. The sub-topic pages can be pages on the website, blog posts, or any content that dives deeper into a long-tail keyword that supports the high-level topic. You can think of the sub-topic pages as a cluster around the hub. Hence the name. 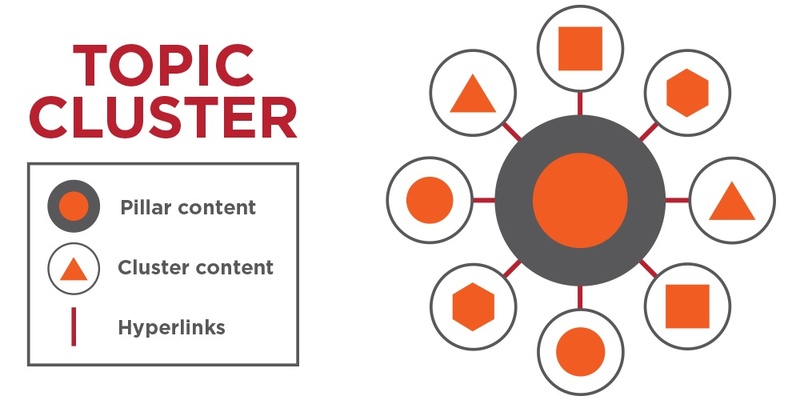 Reorganizing your content into Topic Clusters can boost traffic and some of those new visitors may just end up being customers. That's Inbound Marketing in a nutshell. Download our FREE Guide: How Inbound Marketing can help Grow Your Business. So how does one go about building a topic cluster strategy? We're glad you asked that too. Step One: Define your high-level topics. These topics should be short-tail keywords that match up with your service offerings or products. In the past, it was hard to rank well for short-tail keywords that have lots of competition. Topic clusters even the playing field. Step Two: Create a list of at least five to ten supporting sub-topics. These sub-topics should all be based on long-tail keywords that each dive deeper into one aspect of the topic cluster. Step Three: Audit your existing content. What content do you have that might work well as a pillar page? Do you have blog posts or web pages that can be repurposed as sub-topics to support your pillar content? If you've been publishing a while, you likely have some content you can reorganize. If not, no better time than now to start. Step Four: Organize the content you have into topic clusters and sub-topics. Be sure that the topic clusters link organically to the sub-topics and that the subs link back to the topic clusters. Those reciprocal links are a vital component of ranking well for the topic cluster. That this step may mean it's time to rethink your website's structure, but in a lot of cases it simply comes down to content revisions and the all important links within the cluster. Step Five: Identify gaps in your content. Are there main topics or sub-topics for which you have no information? Most likely there will be things you haven't covered. That's okay. Those are the items you'll include in your content strategy plan. By having a list of main topics and sub-topics that support them at the ready, you'll always have ideas on what content to create next. It's 2018, and most savvy marketers have long realized that keywords are a vital part of their online strategy. If you weren't optimizing your content for keywords that people use to search for things you do, your chances of getting found organically were slim to none. In 2018, that strategy has changed a bit. 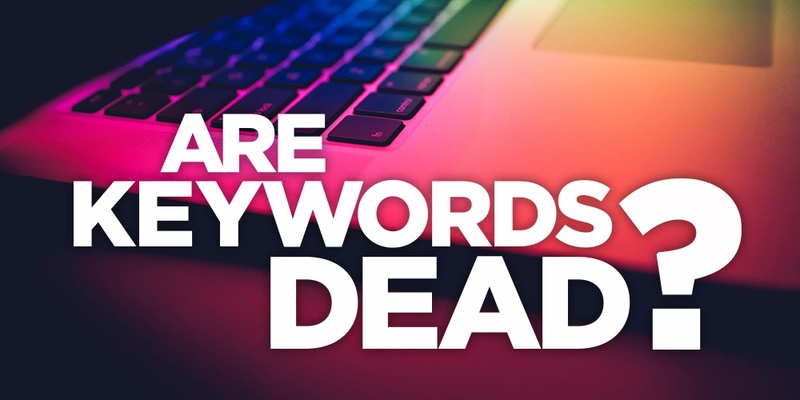 Keywords aren't dead; they just need to be organized differently than in the past. Topics form the short-tail hub, and sub-topics become the long-tail support. Will this strategy work forever? Likely not, but for now topic clusters and the content that supports them can be your SEO edge. Want to know more about how Topic Clusters work within an Inbound Marketing strategy to capture leads and boost sales? Download our FREE Guide How Inbound Marketing can help Grow Your Business.